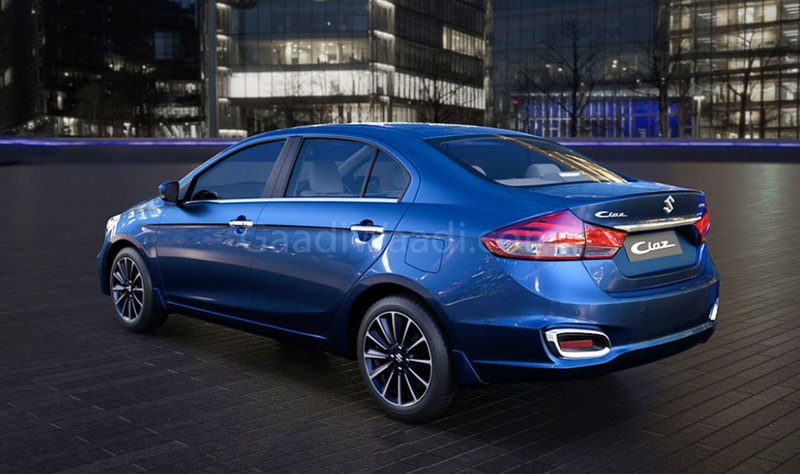 The new 2018 Maruti Suzuki Ciaz facelift is on sale with two engine options – 1.5-litre, four-cylinder, naturally-aspired petrol and 1.3-litre, four-cylinder, turbocharged diesel. The petrol engine variant is available with two transmission options – manual and automatic. The diesel engine variant is available with a manual transmission only. Both the engines are available with a SHVS mild-hybrid technology. The new 1.5-litee K15B petrol engine produces a maximum power of 104 PS along with a peak torque of 138 Nm. This is a significant upgrade from the earlier 1.4-litre engine that produced 94 PS and 130 Nm. The transmission options, which include the 5-speed MT and 4-speed AT, have been carried over from the earlier version. The diesel engine variant of the 2018 Ciaz gets the same 1.3-litre, four-cylinder, turbocharged diesel engine that powered the earlier model. This Fiat-sourced oil-burner produces a maximum power of 90 PS along with a peak torque of 138 Nm. The engine comes mated to a 5-speed manual transmission. 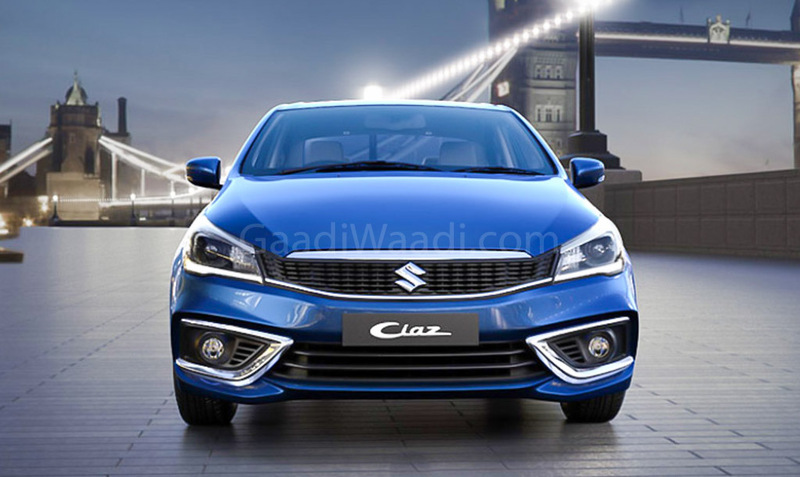 The 2018 Maruti Suzuki Ciaz facelift will receive Suzuki’s ingeniously developed 1.5-litre turbocharged diesel that will output higher power and torque than the current diesel engine. The new Maruti Ciaz facelift is not only the most fuel efficient in its segment but is also the most frugal sedan across all segments. The petrol variant of the Ciaz facelift offers an ARAI-certified fuel efficiency of 21.56 KMPL with the 5-speed manual transmission and 20.28 kmpl with the 4-speed automatic transmission. The diesel variant continues to offer an ARAI-certified fuel efficiency of 28.09 KMPL. One of the biggest reasons for the high mileage is the SHVS mild-hybrid technology. The Maruti Ciaz was always a sufficiently feature-laden model and things get even better with the introduction of the facelift. The standard features list includes push start-stop button, cruise control, electrically adjustable ORVMs, keyless entry and go, automatic aircon, rear AC vents, height adjustable driver’s seats, reverse parking sensors, tilt steering, steering-mounted controls, front and rear electric windows, and central locking. The Alpha trim gets a 17.8 cm touchscreen Infotainment system that offers Bluetooth compatibility, inbuilt navigation, Voice command system, Steering Mounted Audio controls, Android Auto, and Apple CarPlay. The Ciaz facelift offers more safety features than the earlier model. The recently launched facelift has been kitted out with automatic headlamps with auto levelling, LED front fog lamps, seatbelt reminder for front passenger and driver’s seat, rear Defogger, Auto Day/Night IRVM, Reverse parking sensors with camera, Electronic Stability Program with Hill-Hold (only on automatic variant), dual Front Airbags, ABS with EBD and ISOFIX mount. The 2018 Ciaz facelift looks quite different from the earlier model. The front-end of the car gets a new grille that’s sleeker than the earlier version. It runs between the two headlamps. The updated headlamps carry LED projector units and LED Daytime Running Lights. The bumper is also new and gets plenty of chrome appliques. The Alpha trim gets new dual-tone machined 16-inch alloy wheels. Delta and Zeta trims get single-tone 15-inch alloy wheels. 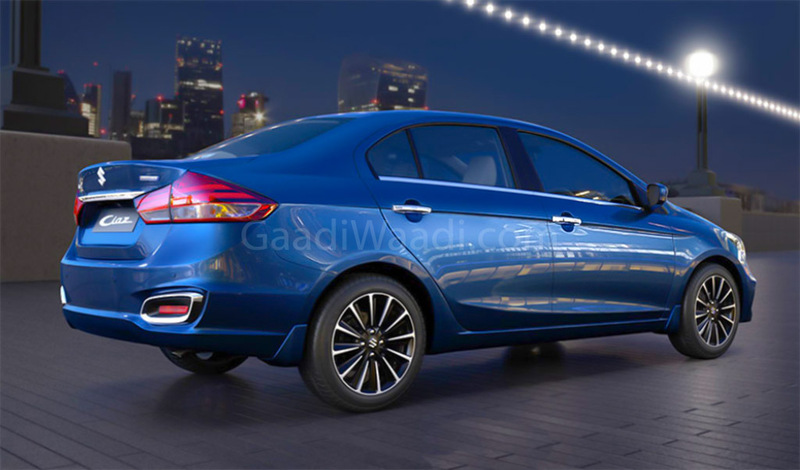 At the rear, the Ciaz gets new LED taillights. Even the rear bumper gets chrome appliques. Styling changes for the cabin include a new birch blonde faux wood trim. The instrument console is new and features a coloured TFT Multi-information display. 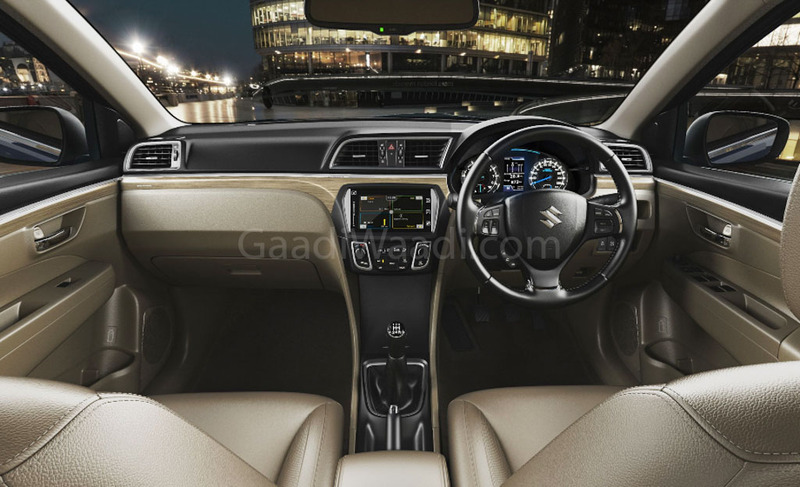 Other than this, the interior of the Ciaz remans pretty much the same. We’ve always felt that the Ciaz is by far the most spacious sedan in its segment. Things remain the same even with the advent of the facelift. 4,490 mm, overall width of 1,730 mm and 1,485 mm in height. The Ciaz has a wheelbase of 2,650 mm. The car has a bootspace of 530-litres and a ground clearance of 170 mm. 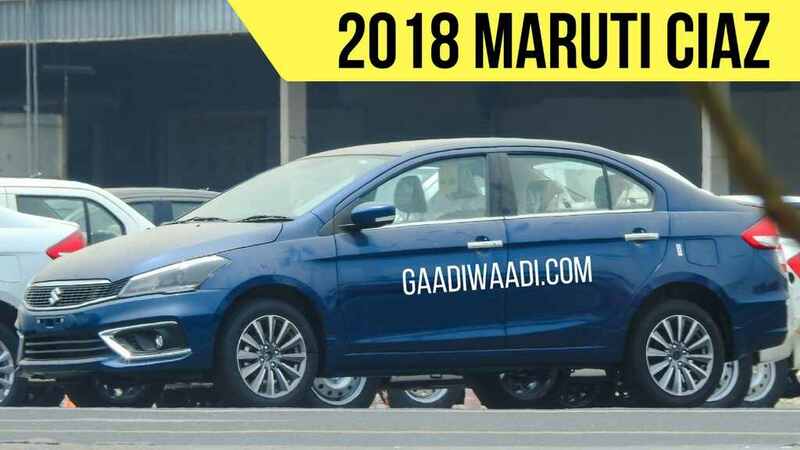 Stay tuned to Gaadiwaadi.com for more on the new 2018 Maruti Suzuki Ciaz facelift.